Many racial and ethnic minority populations—including African Americans, Hispanics, American Indians and Alaska Natives, Asian Americans and Pacific Islanders, and Native Hawaiians—are disproportionately affected by diabetes. 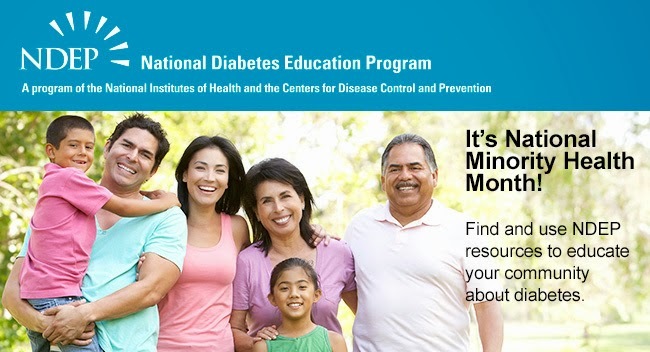 During National Minority Health Month this April, join the National Diabetes Education Program (NDEP) to raise public awareness about this important health message. Visit www.YourDiabetesInfo.org to learn more and find additional resources you can use to raise awareness about diabetes.